I'm on vacation and snatched an hour or so of internet time to check email, but I couldn't resist a quick entry alerting readers to a couple of hot items. First, today's New York Times published this article by Gardiner Harris reporting that the major association of medical schools has unveiled its new policy on drug company gifting. And the news is tremendous. 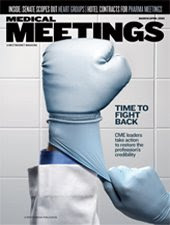 The Association of American Medical Colleges now recommends that "drug and medical device companies should be banned from offering free food, gifts, travel and ghost-writing services to doctors, staff and students in all 129 of the nation’s medical colleges...." In addition, "the report recommended that medical schools should 'strongly discourage participation by their faculty in industry-sponsored speakers’ bureaus,' in which doctors are paid to promote the benefits of drugs and devices." And in a feat of good timing, the Prescription Project has released a series of "toolkits" to help hospitals and academic medical centers create the conflict of interest policies that the parent organization now recommends. You can read more about this here. The era of post-deception medicine is finally here. On April 18, the Massachusetts State Senate unanimously passed a law that included a complete ban on any gifts from the pharmacetical industry to doctors in the state. This ban was only a small part of a larger bill to control health care costs in the state, but it is the provision inciting the most controversy by far. At this point, the bill is headed to the state House of Representatives, and then to the governor, so the ban is not yet a fait accompli. Boston’s conservative paper, the Boston Herald, then chimed in with this editorial, which quoted a letter from four drug companies complaining that the gift ban would hurt business and implying that drug companies would take their money to other states if it were enacted. The Herald said that the gift ban would “kneecap” the life science industry in Massachusetts. Wow. How demeaning to both drug companies and doctors. Apparently, the only way to succeed as a pharmaceutical company in Massachusetts is to bribe doctors to use your products. And here I thought business success depended on creating valuable medical treatments that offer real advantages over competitors. By the way, if companies believe they can flee regulation of their marketing practices by leaving Massachusetts, they’re wrong. Minnesota bans gifts worth more than $50, and Vermont requires public disclosure of gifts over $25. And according to this legislative round-up from The Prescription Project, in 2007 over half of all state legislatures considered bills addressing various aspects of bribery-based pharmaceutical marketing. Furthermore, many of the country's premiere academic medical centers have already banned drug company gifts in their facilities, including Yale, Stanford, University of Michigan, University of Pennsylvania, Boston Medical Center, Vanderbilt University, University of Pittsburg, and University of Massachusetts. The huge University of California system is now in the process of formulating its own gift ban. There truly is no place for drug companies to hide. A better solution is for the companies to scale back their marketing to traditional and legitimate practices, such as advertisements in medical journals. At any rate, the Herald then published this perplexing op-ed written by two Boston physicians, supposedly arguing against the gift ban. The perplexing part of the article is that they actually claim to support gift bans in academic medical centers, and furthermore, they readily admit both that the reason drug reps call on doctors is to get them to prescribe more of their drugs, and that cheaper generics are often just as effective as newer, expensive agents, which, they say, "may add only incremental value." Thus, they don’t seem to be arguing against the gift ban per se, but rather they appear to believe that this bill is the first step in a darker liberal agenda: “The real intent of these critics goes far beyond food and trinkets, and its true purpose is to curtail strictly or even eliminate all contacts between physicians and private industry.” Talk about conpiracy theories. There's nothing in the bill eliminating, or even discussing, payments for CME activities or industry funding of research. Come on people, enough with the straw man arguments. The credibility of the editorial was severely damaged by the conflicts of interest of the writers, which were only partially disclosed in the article. The disclosure noted that Dennis Ausiello is a director of Pfizer, but did not also note that he is on the advisory boards of three other drug companies. Tom Stossel disclosed no COIs at all, despite the fact that he is on Merck’s advisory board and receives payments for various speaking and marketing activities from four other companies. No wonder their editorial, ultimately, fell on deaf ears in the State Senate. You can read more details in two articles in Pharmalot and the Wall St. Journal Health Blog. Meanwhile, the battle for public opinion has been spiced up by several letters to the editor, including here and here by yours truly, these two pro-bribery letters (one by a physician's husband and the other by the CEO of a promotional products company), and here by Lisa Kaplan Howe of the Massacusetts Prescription Reform Coalition, which is a group I work with. The fact is that our patients want us to base our prescribing decisions on an objective reading of the medical literature, rathet than a hard sell from professional salesmen. And bribery? It’s time to delete the term from the pharmaceutical industry’s lexicon. While this blog generally focuses on how physicians sometimes manipulate information in response to financial incentives, last Sunday's New York Times covered another category of corrupted information brokers: military analysts hired to interpret the news. In a devastating expose, David Barsow details the ways in which the Pentagon has groomed former military men to deploy the official White House message to national TV audiences. Any reader of this blog will immediately recognize the same techniques used by hired gun M.D. 's—the highlighting of the positive while downplaying the negative, the hidden conflicts of interests, the rationalizations, and, ultimately, the damage done to our nation’s sense of morality. Television networks have long hired retired generals and colonels to serve as “independent” military analysts, brought on to help the public understand the meaning of the latest developments in war. Yes, they were once part of the military establishiment, but we assume that in their retirement they no longer have to answer to anyone, and they can provide a clear-eyed interpretation of confusing war-time events. At least, that’s the theory. The parallels to the industry-sponsored CME industry are eery. In both cases, “key opinion leaders” are paid to deliver the company message (the Pentagon uses the term “key influentials”); old boy networks ensure that friends reward friends; and e-mail trails of damning communications eventually expose the sham. Unfortunately, military analysts and industry-sponsored CME are not the only examples of our country’s burgeoning culture of deceptive information-brokers. In the last couple of years, we’ve read about college loan officers referring students to banks in return for kickbacks (1) ; financial analysts entrusting their customers’ money to certain stock brokers in return for golf and gambling vacations (2) ; and government officials accepting lavish gifts from lobbyists for decisions that enrich their clients (3). The moral? As information becomes more complex and specialized, it becomes more valuable to stakeholders. And where there is value, there is the opportunity for corruption, whether in medicine, the military, or any other field. This was a very bad week for those whose careers depend on the use of deceptive marketing tactics. 1. JAMA (the Journal of the American Medical Association) published this article written by Joe Ross and colleagues exposing Merck’s use of ghostwriters to disseminate studies in support of Merck’s ill-fated arthritis drug, Vioxx. 2. The same JAMA issue reported that Merck had hidden its knowledge of the Vioxx dangers in studies of the drug in Alzheimer's disease. Those still looking for evidence that relying on industry sources of information can lead to bad outcomes—in this case, death—need look no further than this article. 4. The New York Times published this article by Gina Kolata interviewing three high profile academic doctors who have relinquished industry ties and feel better about themselves and their profession as a result. 6. 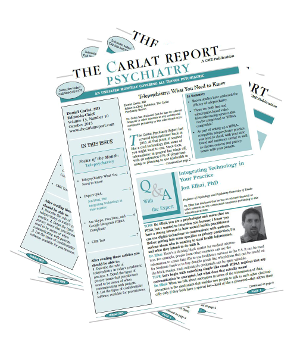 Prescribing for Better Outcomes, a website devoted to educating physicians about inappropriate marketing tactics, released a journal supplement and a webinar helpful for those who are interested in a non-industry perspective on the use of epileptic medication in bipolar disorder. It looks like the era of post-deception medicine is finally dawning. I suppose I should not be surprised that Vermont is doing so much to combat inappropriate drug company influence. After all, the state is famous for liberal physicians, including, most prominently, the current chairman of the Democratic National Committee, Howard Dean. 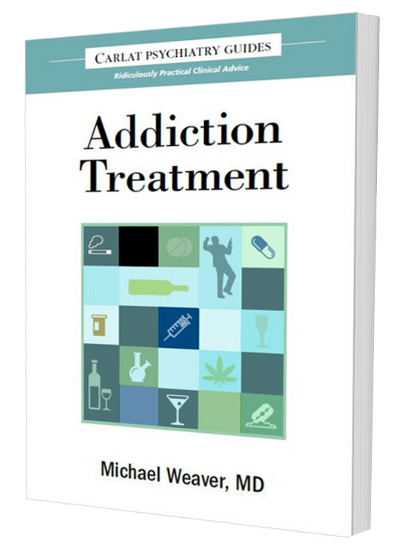 I recently gave a talk (as part of my “Dirty Thirty” tour) to the Vermont Psychiatric Association. What an impressive group. These are psychiatrists who are in the profession to help their patients, no matter what it takes, and are refreshingly unwedded to the medication solution. For example, Alice Silverman, one of the association's representatives to the APA, no longer starts with antidepressants when treating mild depression, because she has found therapy to be just as helpful. Her patients are happy because they don't have to deal with either sexual dysfunction or a higher risk of osteoporosis. Also present was David Fassler, the incoming secretary-treasurer of the APA. I look forward to working with him on the newly formed APA Work Group to figure out who to wean ourselves off of industry money. Vermont is absolutely at the forefront of the growing movement to wrest control of medicine away from the pharmaceutical industry. The legislature has passed a law restricting prescription data-mining; the University of Vermont Medical School has banned drug company gifts or meals; and the Vermont Association of Mental Health has just said "no" to industry support. To read more about what Vermont is doing, read this excellent overview article in the Barre Montpellier Times Argus. The National Physician's Alliance (NPA) just announced the kick off of its "Unbranded Doctor" campaign. For those who have never heard of the organization, the NPA is to the AMA (the American Medical Association) as the Prius is to the Ford Explorer--namely, a progressive group of relatively young doctors who are more concerned with ethics and patient care than with ensuring a fat income stream. I am a proud card-carrying member, and I urge you to join as well. 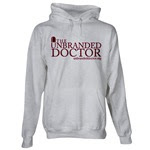 The Unbranded Doctor campaign is a godsend for physicians who are eager to make their offices drug rep-free and sample-free, but would like some logistical help and moral support. After all, nobody wants to be impolite to drug reps, who are by nature friendly and convivial. And how do you break it to patients that there will be no more drug company pamphlets around, not to mention not-truly-free samples? The website offers downloadable brochures to keep in your waiting room, such as "Why is my doctor restricting the use of promotional samples?" and "Why doesn't my doctor see drug reps? Information for patients." Even more fun, there is an Unbranded Doctor Store, where you can purchase buttons with choice slogans like, "Data, not doughnuts" and "Lower your cholesterol, say NO to drug lunches!" While you're there, don't forget to pick up some unbranded t-shirts, sweat-shirts, coffee mugs, mouse pads, bibs, tote bags, journals, and clocks. They make great gifts for drug reps! Epocrates is the premier PDA-based medical software, extremely popular with doctors because the basic version is free. Of course, in a world of no free lunches, Epocrates comes with its own price, namely various drug ads offered in the guise of "doc alert" messages. 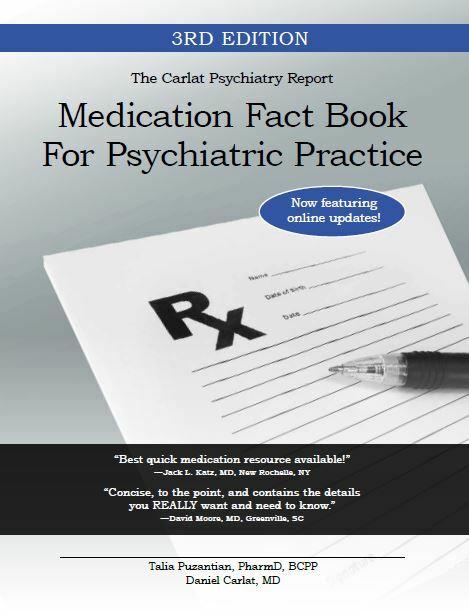 All in all, not a bad product, and I gave it a pretty good review in this past article in The Carlat Psychiatry Report. "It's getting harder for sales reps to meet with doctors, and we provide a tool to establish a relationship with a physician and deliver messaging," Kirk Loevner, chairman and CEO of Epocrates, told Pharm Exec on Monday. Programs such as Doc Alerts transmit key pharma studies or journal articles straight to a physician's device. With the iPhone, pharma companies can also create richer mobile continuing-ed programs, including video and graphics branded with pharma messaging. The company's inspiration, Socrates, once said, "The unexamined life is not worth living." I'm sure he would have had some wise counsel for Kirk Loevner, new champion of pharma messaging.